The Avid Digidesign Profile console is a size-conscious alternative to its acclaimed big brother, the D-Show console. It is often used as the mixing centerpiece of the Profile and Mix Rack Systems. The Digidesign Profile gives you all the hallmarks of Avid live sound systems tailored for small-to mid-sized environments and applications. Production Hire offer a Avid Digidesign Profile for dry hire to support your live music event. 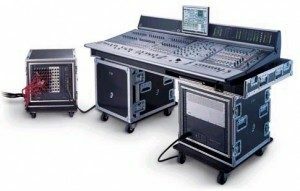 Call or contact us for your free no obligation quote regarding Avid Digidesign Profile dry hire. One of the Production Hire team will be happy to help.